Lisbon airport also known as Lisbon Portela Airport, is the main international gateway to Portugal. Being one of the largest airports in Southern Europe, Lisbon Airport has two main runways and continues to expand. Lisbon Airport is located 7km north of the capital Lisbon. This strategic location makes it easy for you to get to your hotel without much of a hustle. 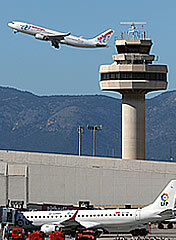 The airport handled over 13 million passengers in 2009. The strategic location of Lisbon Airport gives it an edge over other airports not only in Portugal but also in Europe at large.